When you have a profitable growing business, competition will be attracted to join you sooner rather than later. This is the reason why corporate performance is usually relative, and seldom absolute, to competitive moves. Success will be affected by what key competition will do or is unable to do. Learn to view marketing from a defensive lens, know if counter attacks are needed, know how new entrants and competition will steal your market shares and discover ways you can stop them from hurting your sales, profit and equity. 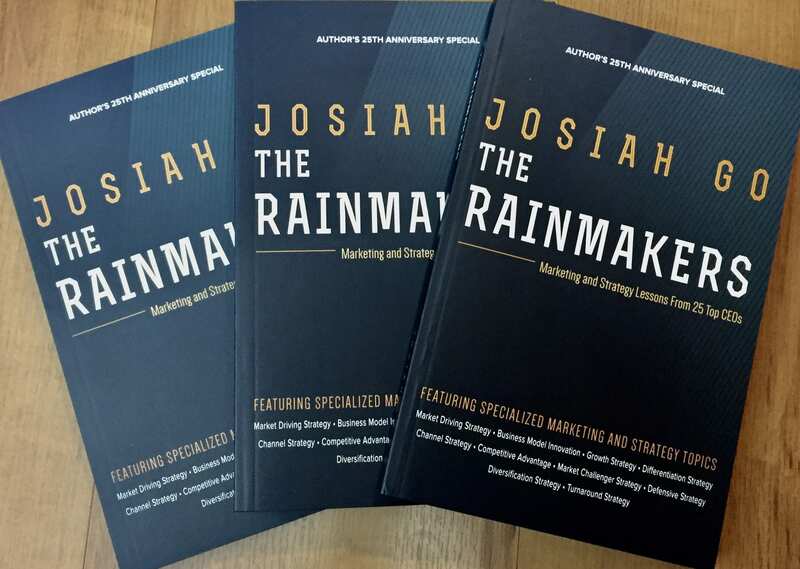 Chairman & Chief Marketing Strategist, Mansmith and Fielders, Inc.
JOSIAH GO is chairman of 5 corporations and author of 13 bestselling marketing books. His specialization is in the area of market-driving strategy, business model innovation, profit strategy and innopreneurship where he has personally facilitated over 500 marketing, strategy and innovation workshops here and abroad since 1990.He took advanced marketing and innovation programs at MIT Sloan,Kellogg,London Business School, Wharton and at the Blue Ocean Strategy Institute.For pioneering and successfully sharing many educational initiatives, “Joe” was honored as one of the Ten Outstanding Young Men (TOYM) of the Philippines in 2001, and one of the Ten Outstanding Young Persons (TOYP) of the World in 2002 in the field of business education, and was awarded by his peers the rare Lifetime Achievement Award in 2007 by the Association of Marketing Educators. He was also recently accorded the World Brand Leadership Award in 2009. His dedication to lifelong education has brought him to places like MIT Sloan, London Business School, Blue Ocean Strategy Institute (France & New York), Kellogg and Wharton and has empowered him to help your firm apply the Market-Driving Strategies technology in easy-to-understand, thought-provoking, inspiring case example method.